This image has a great story attached with it. 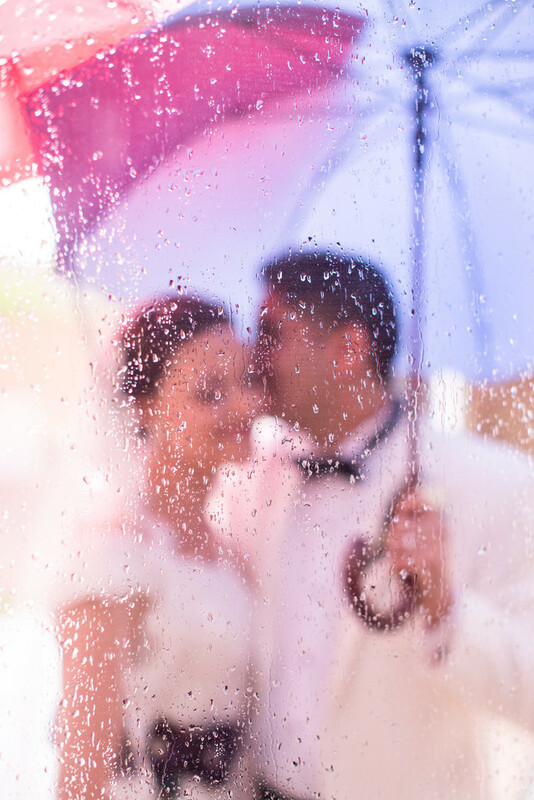 In sunny, Southern California it rarely rains so typically there's very little expecation for the wet stuff on a wedding day. Of course on Rebekah & Andrew's big day it ends up constantly pouring, which isn't the most exciting prospect for a bride and groom. Anyways, instead of fighting the rain, we embraced it. I ended up prompting the happy couple to grab an umbrella and head outside IN the rain while I stayed nice and dry inside, ha. They trusted my creativitiy and this was one that resulted from that mindset.